Good. 0099289822 ALL BOOKS SHIPPED WITHIN 1 DAY OF PURCHASE! 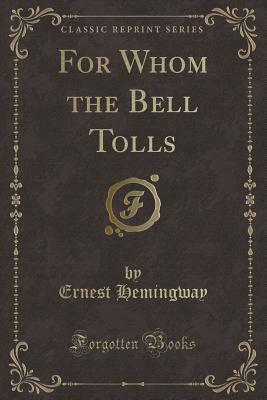 For whom the bell tolls is not only a great song, but a wonderful novel. It portrays a little-known war in the US, and it has Hemingway's typical style that is refreshingly simple and prose-oriented. It is a great read- you won't be able to put it down!